Hong Kong globetrotters share their tips on where to stay for a great holiday, be it in Spain for the scenery or Paris for Fashion Week. With the Indian Ocean on her doorstep, Winnie Chiu loved every second of her holiday in the Maldives. 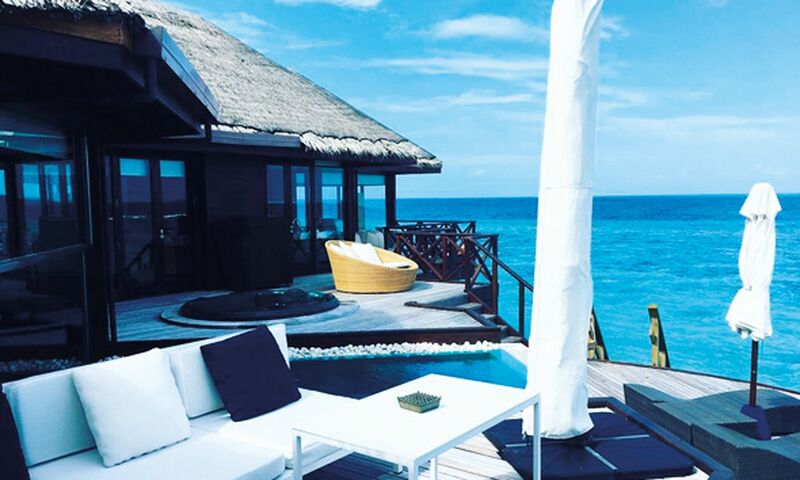 Perched over the crystal blue waters, her villa at the Per Aquum resort Huvafen Fushi felt like a slice of heaven. When holidaying in Pamplona, Spain, Veronica Lam enjoyed the Muga de Beloso, a chic hotel with sweeping green views, a welcome change of pace from Hong Kong. Apparently, you can never be overdressed for afternoon tea—just ask Deborah Hung, who never wastes an opportunity to dress up. She’s pictured here in a black gown in her suite at The Ritz Paris. No pool day is complete without an awesome floatie. Right, Theodora Liu? Her unicorn upstaged the gorgeous view in this snapshot from her villa at The Cape in Phuket, Thailand. Elson Luk was one of the first to preview Japan’s newly opened Four Seasons Hotel Kyoto. He especially loved the bedroom’s design and how it mixed traditional and contemporary design.